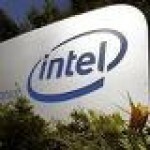 How will the Intel buyout of McAfee impact Norton/Symantec? How can this possibly improve the fight against malware? What’s the advantage? If this purchase goes forward, there will be more questions than answers. I personally want to know why Bill and Dave are wearing matching shirts. Take a look inside.